Water is such an important part of life, and while people can live a few hours or days without eating, they simply cannot live without water. The demand for water will always be there, and manufacturers know this. Aside from bottled water and water dispensers, there’s a rise in drinking fountains as well. Drinking water fountains can be set up in various commercial buildings, institutions, and even in public places like parks and bus terminals. People need to hydrate themselves with water, regardless of where they find themselves during the day. While we can always source water from our homes, there are times when we feel thirsty in public areas, and this is where water fountains come in handy. If you own a commercial building with a lot of office spaces, you have to address the need for drinking water fountains. Even as a university administrator or a shopping mall owner, you have to consider that your students and shoppers will need to hydrate themselves constantly throughout the day. If you’re part of the team that maintains a track oval you’ll have to remember that after a few rounds of jogging, people will be thirsty so there has to be some water fountains around the oval. 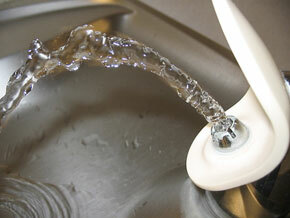 There is a need for drinking fountains because there will always be a need for safe drinking water. Essentially, water cleanses us and hydrates our systems, so we will never stop needing it. Freestanding fountains—These are the drinking fountains that you can move and place anywhere. They are usually made to complement the average height of a person, so anyone can use it. Mounted on the wall—Fountains that are mounted to the wall will have to be connected to a water source and they can’t be moved anywhere, but this kind of water fountain will save you a lot of space. There’s no formula to finding the perfect drinking fountain because your choice of drinking fountain will really depend on where you want to put it. Freestanding fountains often come in different water capacities. Some can hold as much as eight gallons of water and chill it per hour. Aside from the capacity, you also have to consider the ability of the fountain to chill the water. More importantly, you need to consider its filtering abilities because if your goal is to provide safe and potable water to a good number of people then you have to make sure that your water filter system works effectively. Finally, the design of the fountain will play a big part in your choice as well.